With the explosion of Spring comes an explosion of flowers. The last couple of years, I’ve been packing my yard with bulbs of an increasing variety. In the first couple of years, the rate of flowers was pretty low, I think one Daffodil bloomed, and less than a handful of Tulips bloomed. 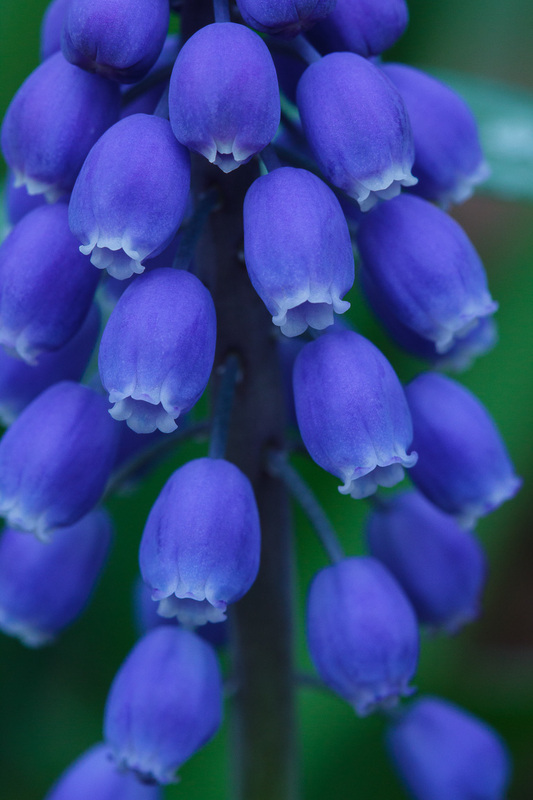 I planted two types of Hyacinth, both the dwarf “grape” variety, as well as the normal variety in a whole host of colors. I planted a number of new types of Iris, to compliment the one variety I already had in my yard (the variety that took over my yard, a bright violet iris). I also redistributed a number of the existing Irises and Tiger Lilies that had grown into gigantic clumps in only one or two places throughout my yard. Well, this year, the majority of my bulbs bloomed, and bloomed beautifully. The Irises and Tiger Lilies have yet to bloom, although their flower stalks with buds are beginning to form. The wonderful thing about planting such a variety of bulbs is you get color throughout the first half of the growing season. The Hyacinth start spring off. The normal Hyacinth were sprouting in mid February, when nighttime temperatures were still well below freezing. That gave me a burst of color with pinks, reds, yellows, whites, deep purples and violets before winter even ended. 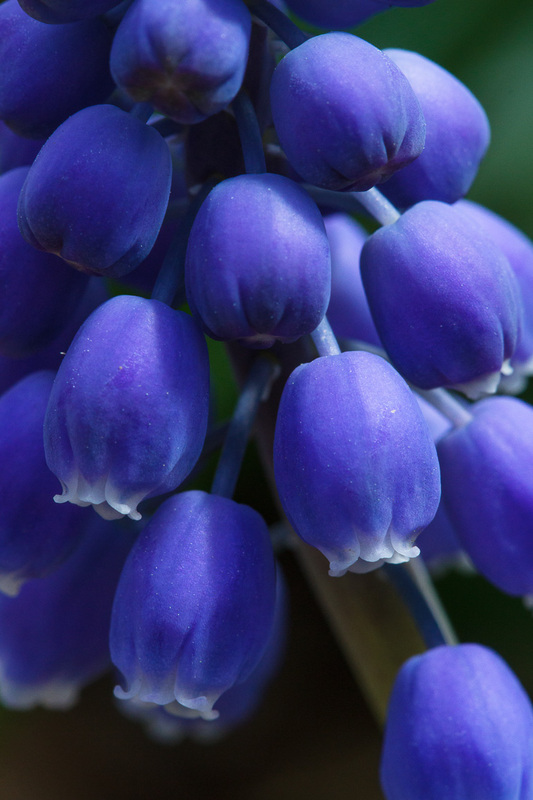 The Grape Hyacinth started shortly after, and gave me some of the most vibrant violet blues I’ve ever seen, and they are still blooming (it’s just one cluster of tiny bell-shaped blue flowers after another). The Daffodils came about a week after the Hyacinth, and the last of those blooms are only now fading (the Daffodils seem to still need another year to fully take off…less than half of all of them actually bloomed this year, although more than in prior years). 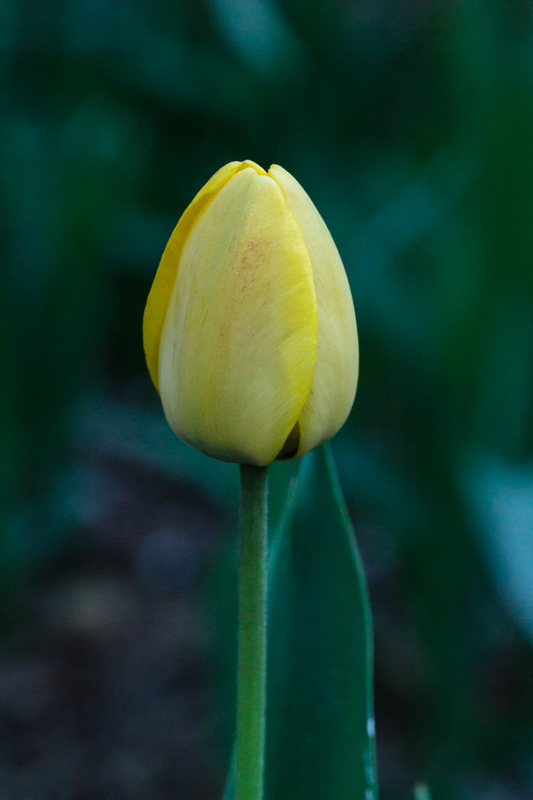 The Tulips started blooming a couple of weeks ago, and are just starting to near the end of their cycle. 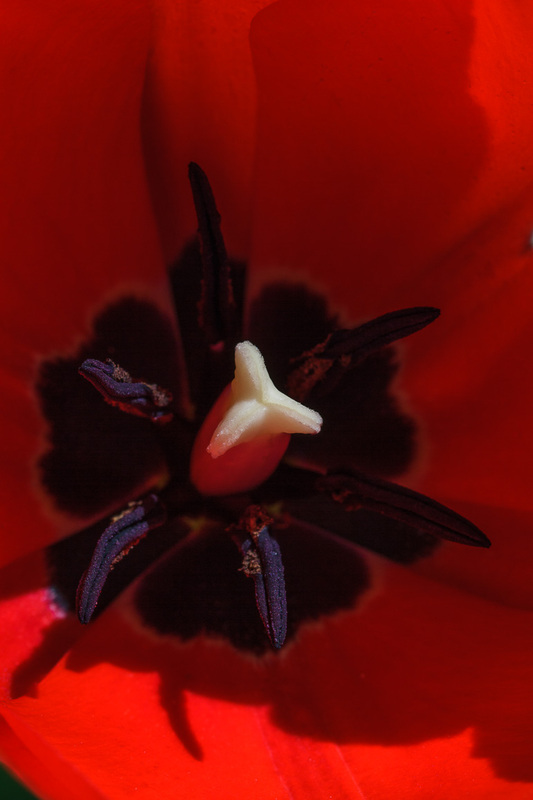 The tulips, now that they have all bloomed, came in quite a variety of colors as well…orange, yellow, purple, and red, along with several variegated varieties with either white highlights or dark highlights. The next round of blooms are the Irises. The Iris blooms should open within a week, and they just keep coming week after week until well into summer. Last year, my Iris stalks had upwards of 9 blooms per stalk, some as many as 14! The stalks themselves reached almost as high as three feet. It seems breaking up the dense clumps of roots and redistributing them throughout my yard did these flowers some good, as they had never bloomed that profusely before. Once summer finally starts, the Tiger Lilies bloom. Last year saw a very small bloom. None of the roots I’d transplanted ever actually bloomed, and only a stalks of flowers bloomed on the original groups I left alone. Hopefully this year they will be more established, and I’ll get that rich orange, yellow, and black throughout my yard. Anyway, I hope you enjoy the splash of color. I don’t do macro and closeup photography nearly as often as I’d like to. It was one of my first photography passions, and the Canon EF 100mm f/2.8 Macro lens was my first lens purchase. Photography is an exceptionally expensive hobby, especially when you throw astrophotography into the mix. I have to spread my already thin funds ever thinner to get all the necessary equipment to maximize my potential in any given area. I’ve wanted to pick up the Canon MP-E 65mm 1-5x Zoom Macro lens for years, as it is probably the world’s greatest macro lens. It isn’t even a grand in cost, either. I would need a proper macro focusing rail if I get it, but…so many choices. Macro, landscape, bird/wildlife, astro. Which to pick, which to fund. 😉 Well, I guess I’ll figure it out once I have some money saved. Until then, enjoy the color! WOW!!! These macros are gorgeous! Love the colors and patterns and detail! Beautiful . . . .
How you do a macro with a 600mm? And why such a long lens? Could you perhaps explain? All of these photos were shot with Canon’s EF 100mm f/2.8 Macro lens. I have some close-up shots with a 600mm lens, but they aren’t true macros. You can actually get very close to a subject with a 600mm lens, either by using a teleconverter, or extension tubes, or both. 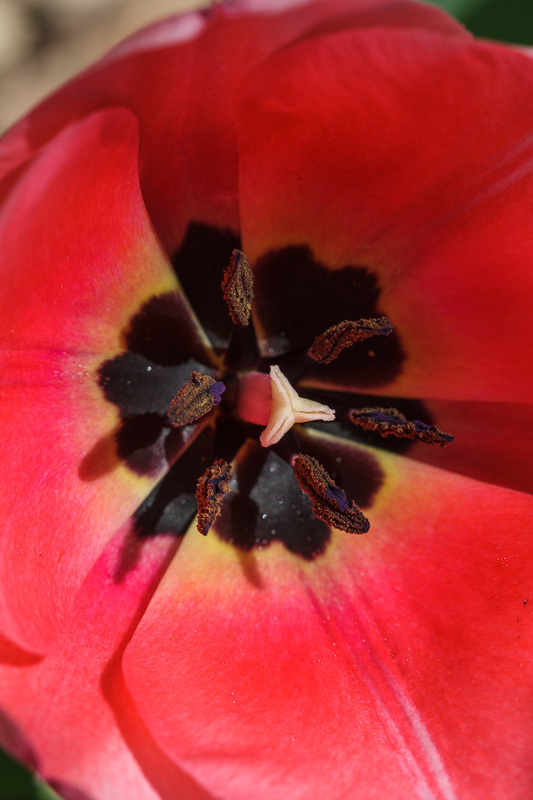 With extension tubes, your minimum focus distance gets very close to the front of the lens…while normally I’d have to be back many feet, with 25-40mm worth of extension, I could get right up close, maybe within inches of a subject. Then the magnification, while still not 1:1, is quite extreme. But normally, when I do macro, I use the 100mm f/2.8 macro lens.